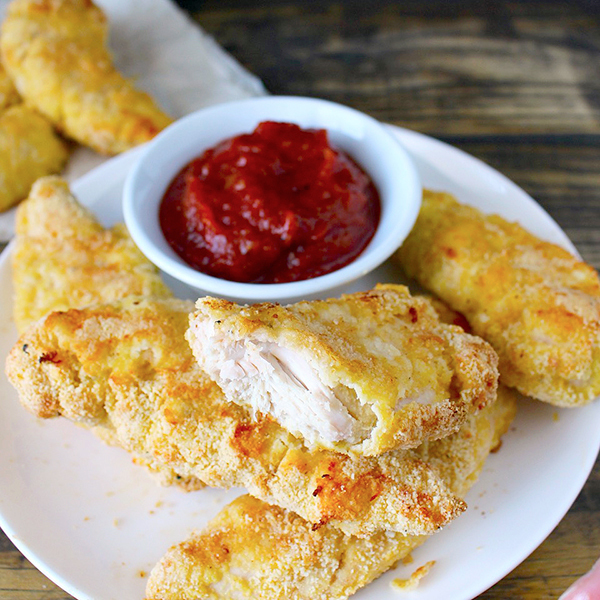 Easy and packed with flavor! ~ Preheat oven to 425° and line a sheet tray with parchment paper. Set aside. ~ Get out 3 shallow, flat-bottomed dishes. 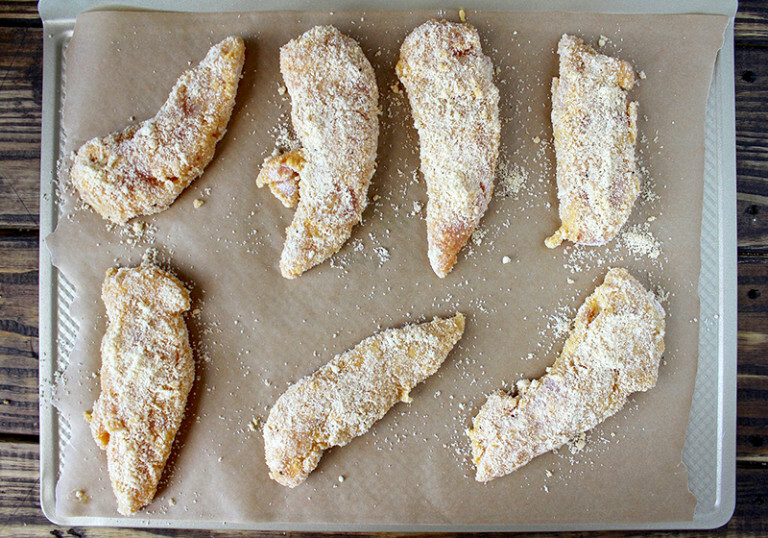 This will be your breading station. 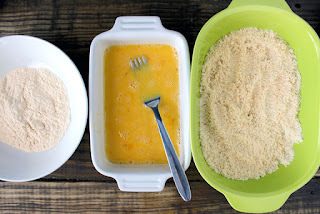 ~ Put the coconut flour in the first bowl. ~ Crack the eggs in the second bowl and add the cashew milk. Whisk until combined. ~ Place the almond flour, salt, pepper, garlic, onion, and cayenne in the third bowl. Mix until all the seasonings are well incorporated. 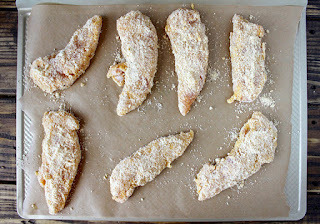 ~ Taking one strip at a time, dip it in the coconut flour and make sure it is fully coated. ~ ~ Then dip it in the egg mixture and let any extra drip off. Them dip it in the almond flour mixture and make sure it's fully coated with no wet spots showing. ~ Place it on the sheet tray and repeat with remaining tenders. ~ Spray with pure olive or coconut oil if you have it. This will help them brown. ~ Bake for 10 minutes, then flip them over and bake for 5 more minutes. Turn the oven to 500° and bake for an additional 5 minutes to brown the outside.